DALLAS — The United States Court of Appeals for the Fifth Circuit has ruled in favor of Antigua and Barbuda after it appealed a district court ruling that under certain exceptions to the Foreign Sovereign Immunities Act (FSIA), the island was subject to a lawsuit relating to its alleged involvement in the Stanford Ponzi scheme. According to the United States District Court for the Northern District of Texas, the commercial activity exception to sovereign immunity was not satisfied and that the waiver exception applied only to claims for which jurisdiction was conceded by Antigua. The appeal court reversed the district court’s determination that it had jurisdiction over certain claims against Antigua and Barbuda, a foreign country. 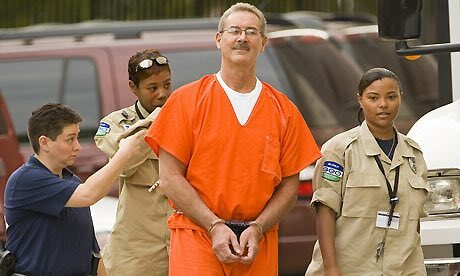 The plaintiffs, including John Wade, in his capacity as trustee of the Microchip ID Systems, Inc Retirement Plan, in two putative class actions had alleged that Antigua and Barbuda was involved and complicit in the Ponzi scheme perpetrated by Allen Stanford. Stanford owned and operated numerous financial entities, including an offshore bank in Antigua, which he used in his scheme to defraud investors. The 65-year-old former St. Croix resident was handed a 110-year sentence in March 2012 on fraud, conspiracy and obstruction charges after the Securities and Exchange Commission (SEC) shut down his global empire. The plaintiffs alleged that Antigua and Barbuda actively and willingly participated in Stanford’s scheme and knowingly provided Stanford and his businesses a safe harbour from regulatory scrutiny. They asserted that Stanford and Antigua and Barbuda had a quid pro quo relationship in which Stanford paid incentives and bribes and made loans to the island and its public officials to ensure that he and his organizations were deemed compliant with relevant local regulations. The two putative class actions were consolidated for appeal solely to address whether, under the FSIA, Antigua is subject to the jurisdiction of US courts. The FSIA is the sole source of subject matter jurisdiction in litigation against a foreign state. Generally, foreign states are immune from the jurisdiction of US courts. However, the FSIA includes exceptions which, if applicable, permit a US court to exercise subject matter jurisdiction over a foreign state. In this case, the plaintiffs argued that the commercial activity exception and the waiver exception of the FSIA authorized the exercise of jurisdiction over Antigua. In its appeal, Antigua and Barbuda successfully contested the application of the commercial activity exception as to certain of plaintiffs’ non-contract claims, arguing that its actions did not cause any “direct effect” in the United States. The commercial activity exception provides that a foreign state is not immune from suit in the United States, when, among other circumstances that may trigger the exception, including that the suit is based on an act outside the United States and that act causes a direct effect in the country. Antigua and Barbuda argued that its commercial activity caused no “direct effect” in the United States and the Fifth Circuit agreed, concluding that the financial loss to American investors involved in Stanford’s Ponzi scheme was not an “immediate consequence” of Antigua and Barbuda’s actions. The Court Appeal also concluded that because the “direct effect” requirement was not satisfied, the FSIA’s commercial activity exception did not apply to bring Antigua within the jurisdiction of United States courts. The Court of Appeal case was filed on November 22, last year, and the ruling handed down on March 27.